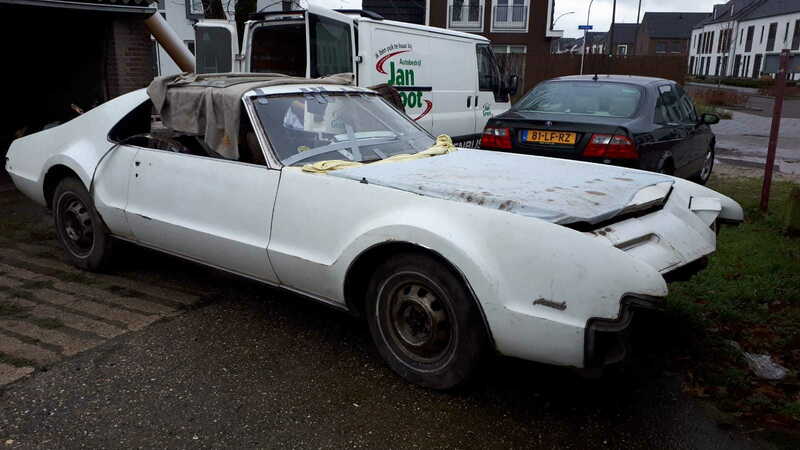 Hi, looking for a 1966 Toronado for parts, sheetmetal (rear) and glass must be good.. prefer a driver..
Wim, you should post a location. I'm sure there are plenty of 66 Toronados across the nation, both drivers and parts cars. However, one in WA does you no good if you live in FL. Hi, my location... Not in the US, I am from The Netherlands and recently bought a Belgium 66 Toronado with serious rust issues in the rear and around the windshield and rear glass, also is the windshield (broken)and the side glass misising,,, That is why I want to buy a parts car so I can make one good car out of 2.... So a car nearby a city with harbour would be the best for me (Houston, New York, Tampa...). Wim, here's a 67 Toronado for sale near Savannah, GA. It seems pretty straight though. Your 66 would probably end up the parts car. If you find a prospective car you might consider contacting classic car estimators to act as your liason. I'm sure there are businesses like that in most large cities (i.e. Houston, Atlanta, etc. ).